Fr. Robert Spitzer, S.J., Ph.D., is the founder and president of the Spitzer Center. A scholar, teacher, author, and seasoned leader, Fr. Spitzer is a pre-eminently a theologian and philosopher. His other fields of expertise, however, include management science, finance, ethics, and physics. Born in Honolulu, Hawaii in 1952, Fr. 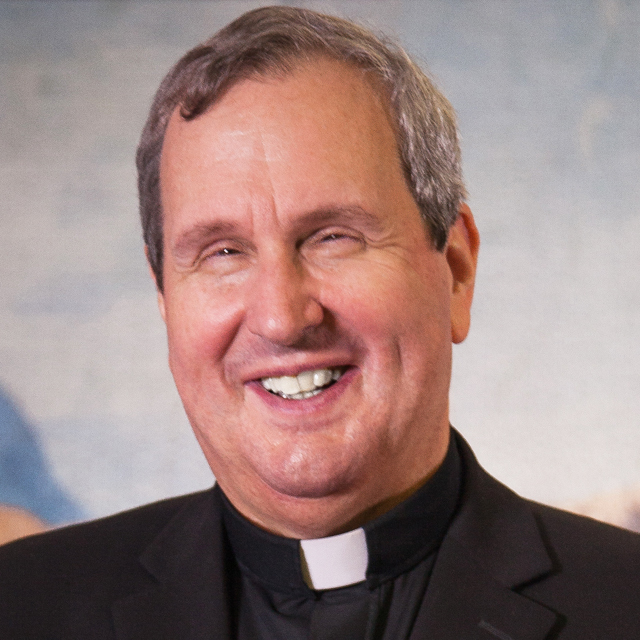 Spitzer entered the Society of Jesus in 1974, was ordained a priest on June 11, 1983, and took final vows April 4, 1992. He has written five books on such diverse topics as: practical spirituality, faith and physics, philosophy, pro-life apologetics, and leadership and organizational development. His scholarly articles have appeared in various business, philosophy and scientific journals. He has produced seven television series for EWTN: Healing the Culture, The Spirit of Catholic Leadership, Suffering and the Love of God, Finding God through Faith and Reason, Five Pillars of the Spiritual Life, Jesus-Emmanuel, and The Heavens Proclaim the Glory of God.